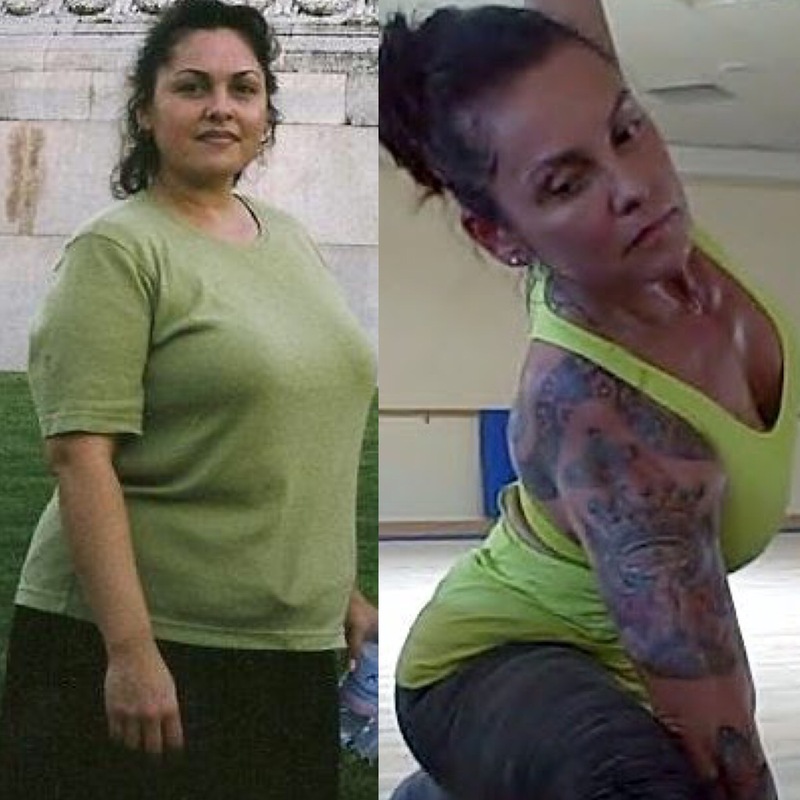 SwingLean’s focus is on fast, effective, efficient, safe and fun workouts for maximum weight loss, strength, endurance, overall work capacity and fitness, in 30 minutes (or less!) Interval training is at the heart of SwingLean’s workouts, and weekly routines are programmed month to month using a variety of “reps x sets” to make it easy to record and track progress. First we Learn (phase 1), then comes Practice (phase 2), and then we Train (phase 3)! This is where to start if you have never used kettlebells or are not confident in your skill or ability to perform a proper kettlebell swing. 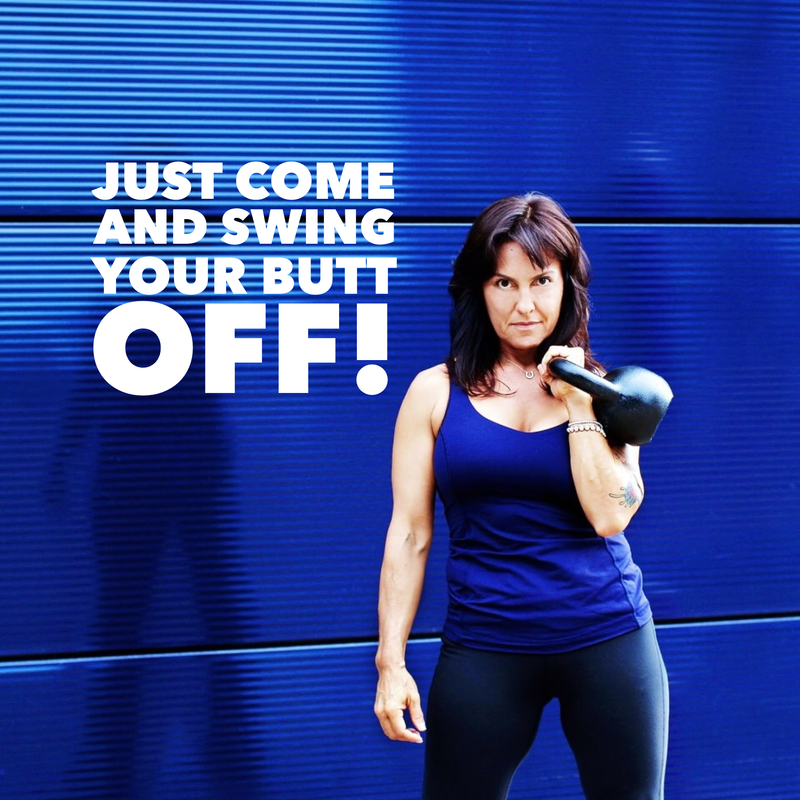 In this class you will learn and practice numerous drills that reinforce a proper “hinge” position to support a strong, powerful and safe kettlebell swing. The exercises and drills that teach the swing are a workout in themselves, making this class appropriate for all levels, not just beginners! It is suggested a new student to SwingLean commit to four Learn to SwingLean classes, either weekly or biweekly before moving forward to entering the next phase of training. Learn to SwingLean 1 teaches all of the swing variations, starting with the two hand swing, progressing into the one hand swing and SwingLean’s system of using progressions in a complete workout. Introduction to interval training teaches each student pacing, how to scale the workloads individually, adjusting to their own level of skill and conditioning. You could expect to practice 200-500 swing reps. In these classes one is confident in their skill of both two hand and one hand swings, and with consistent workouts students will quickly increase in strength and conditioning. There is a minimum of 500 swing reps programmed in 30 minutes or less, with most classes designed to complete 600. All reps/sets are arranged with an “equal work to equal rest” ratio. A SwingLean phase 3 routine will offer students options for more even swing reps, in the same amount of time, to push their cardio conditioning as it adapts to higher workloads. We also play around with more advanced swing progressions, and longer sets of 50-80 continuous swings. Subject to availability, a variety of kettlebell weight increments are encouraged as strength improves. 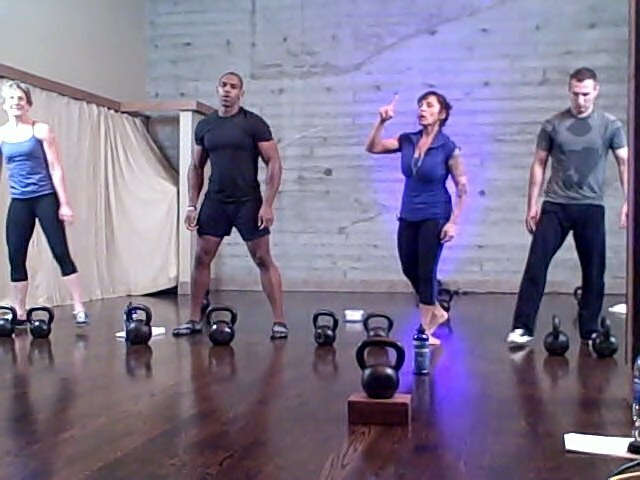 I compare learning how to drive with learning how to train kettlebells! The more hours you spend behind the wheel, the better and faster you improve your driving skill, soon handling more challenging roads and conditions! The more sets and reps you spend with your hands on a bell, as comfort, ease and confidence builds, the better and faster you increase your skill of handling the bell, in all advanced movements, not just the swing! Nothing replaces consistent practice and it really pays off to put your time in with your hands on the bell!